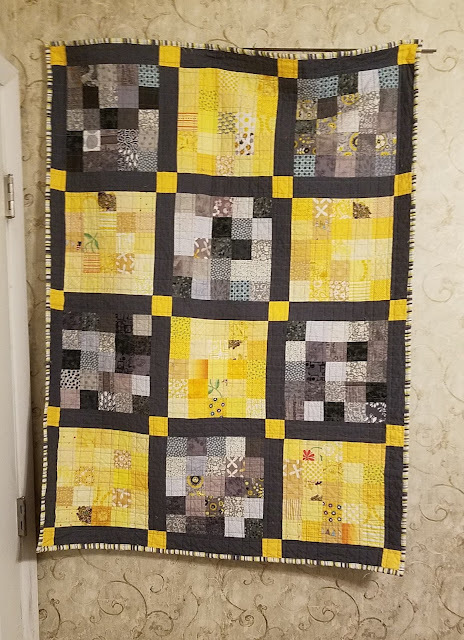 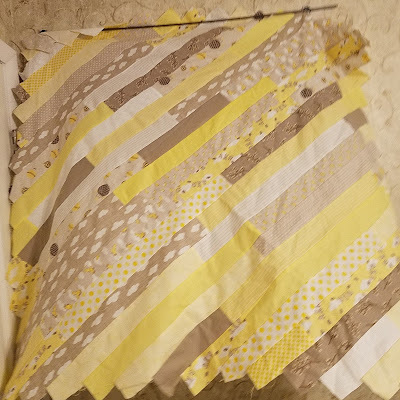 This is the first of two gray and yellow quilts. This is the dark version. 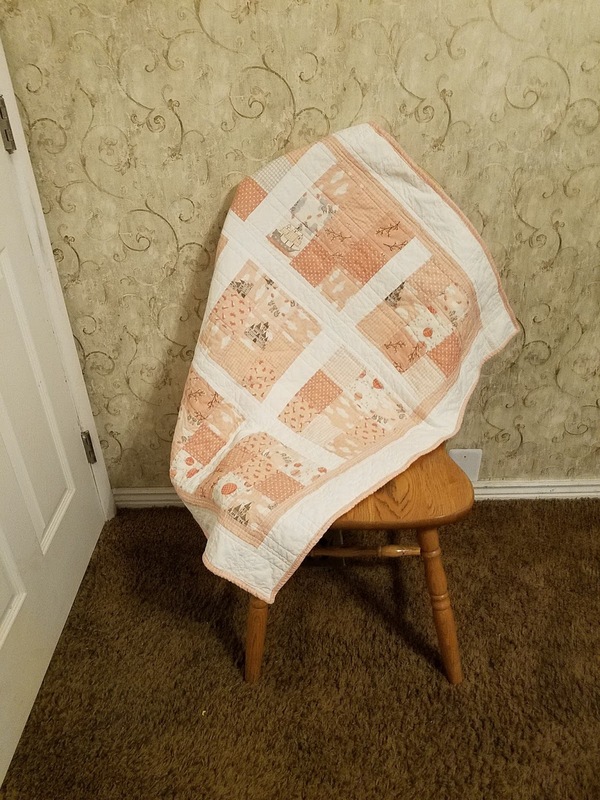 We have a light gray version in the to be quilted pile. 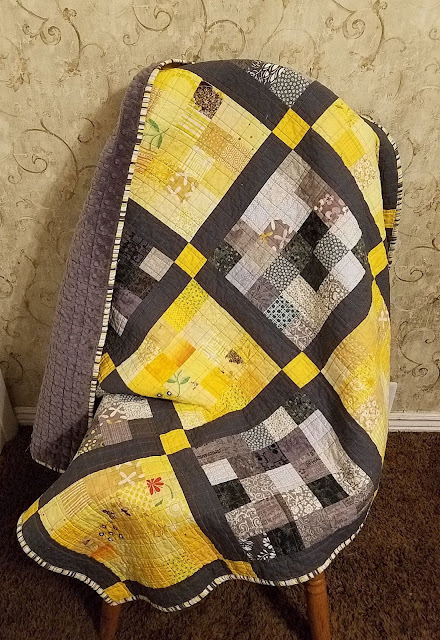 The back of the quilt is a gray minky. 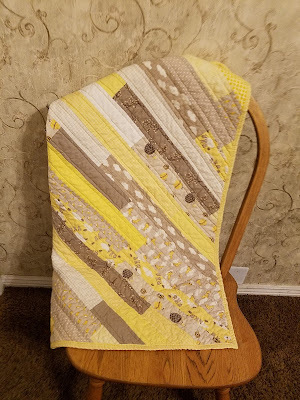 I love how the striped binding coordinates so well. 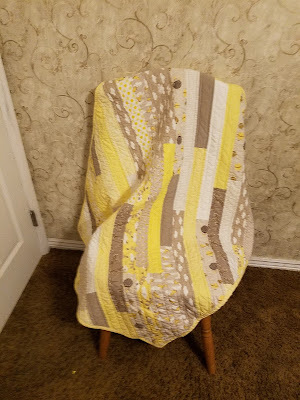 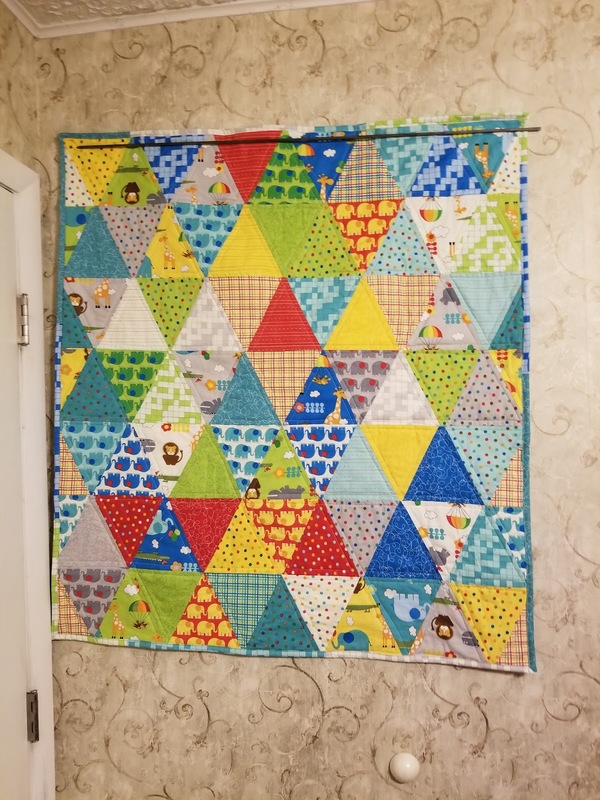 This quilt has been finished for probably 7 months now and has never had its picture taken until now. 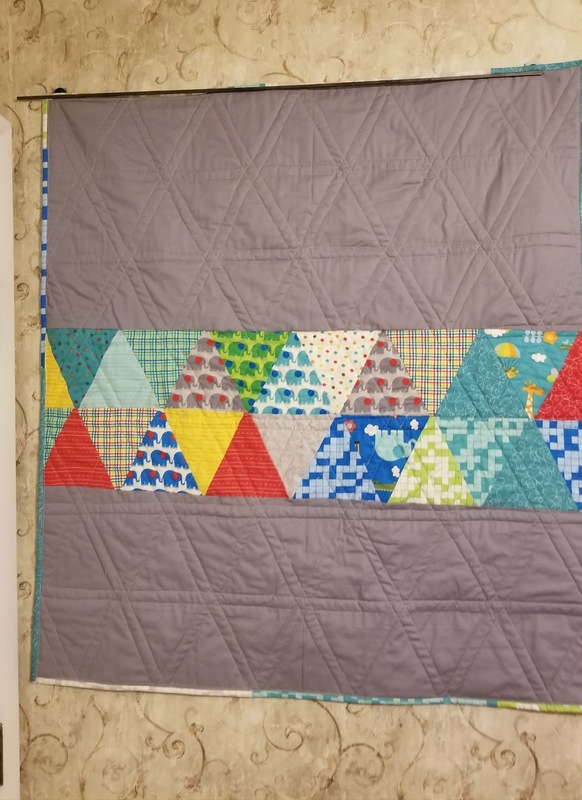 This was an all from stash quilt. 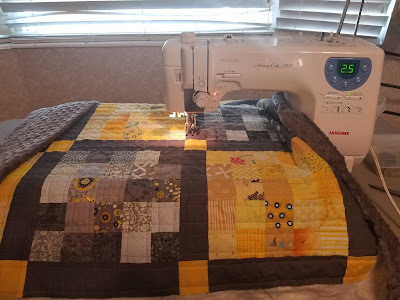 The back of the quilt is a gray minky. 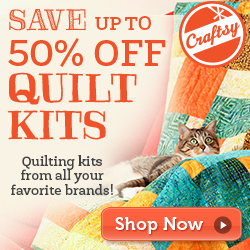 We have a lot of gray and off white minky, Tanya accidentally ordered twice what she wanted last year. 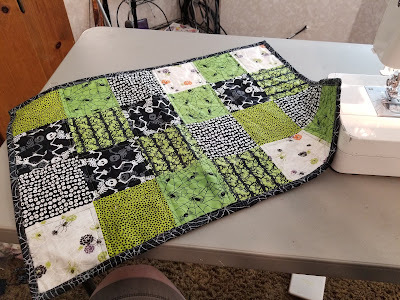 So a lot of backs of quilts are going to be minky for a while. It has been way too long since I have posted a blog post and I guess that has to change. 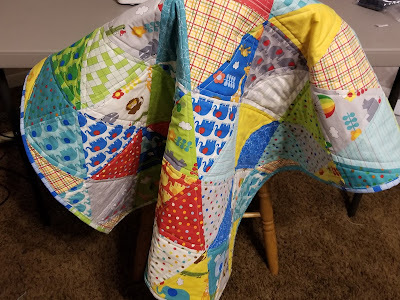 Any way this last week Jared has been at scout camp and I went up to visit him his last night. 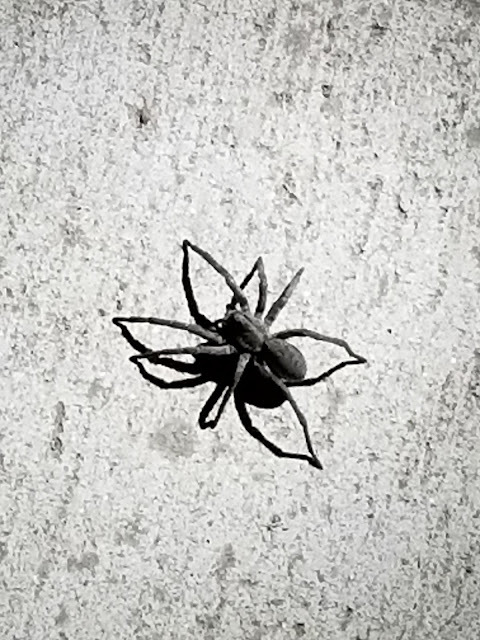 While up there, I found this spider and it looked cool so I gook a picture. 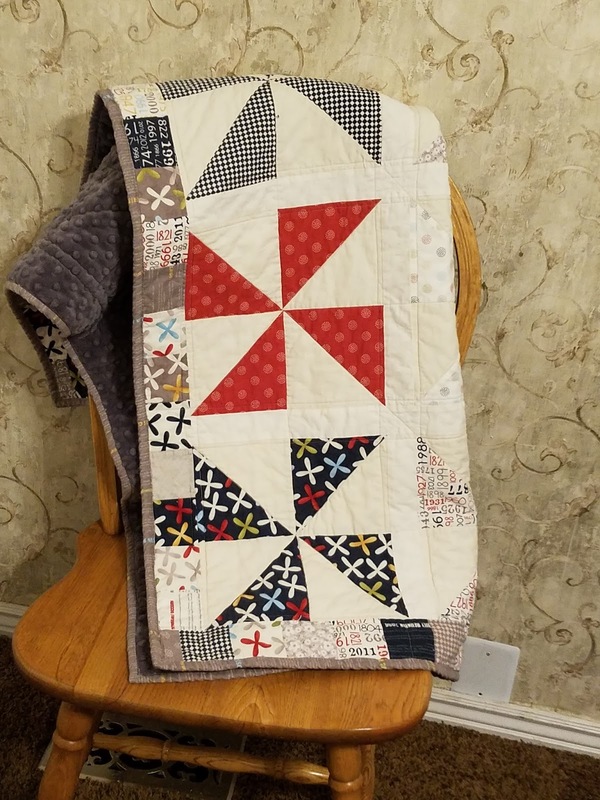 It goes well with my post so, I thought I would start with it. 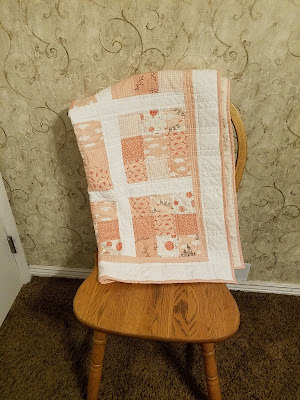 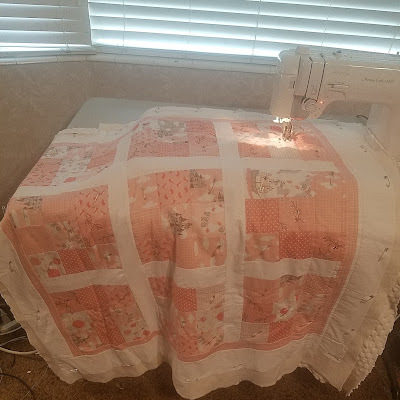 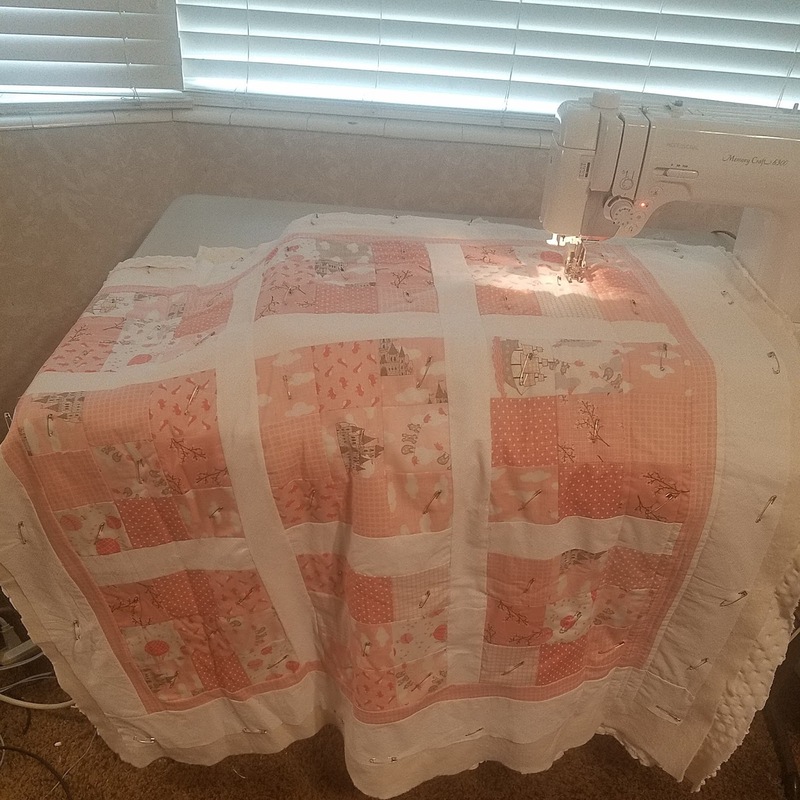 It has been a long time since I last quilted. 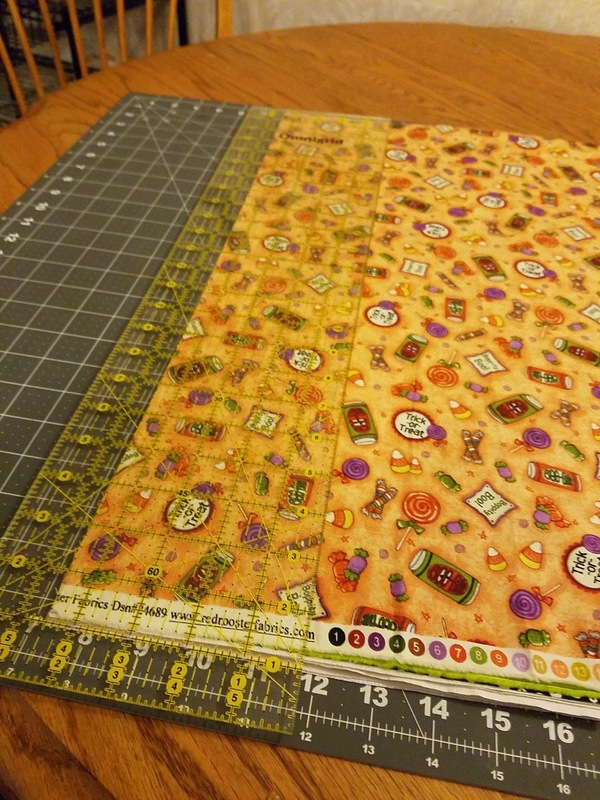 But today, I put the binding on 3 table runners that I started a year ago and never finished in time for Halloween. 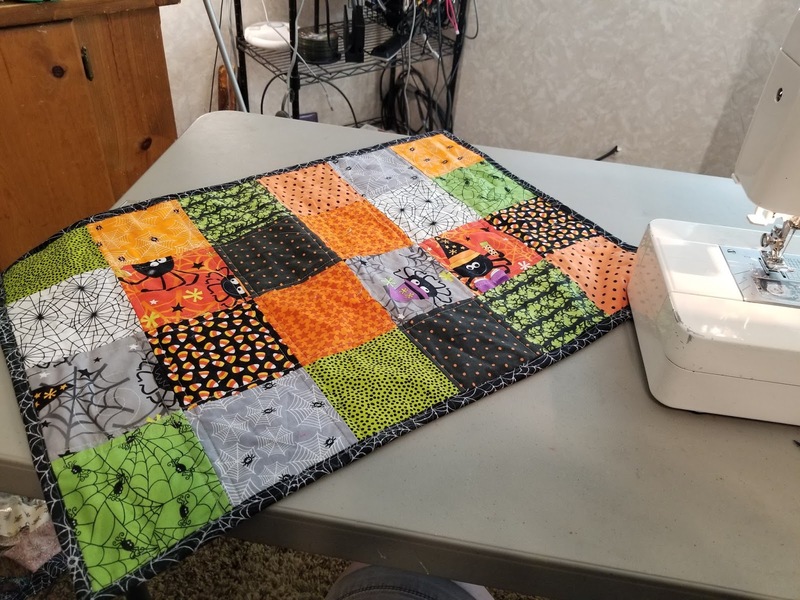 Well this year I got them done in time. 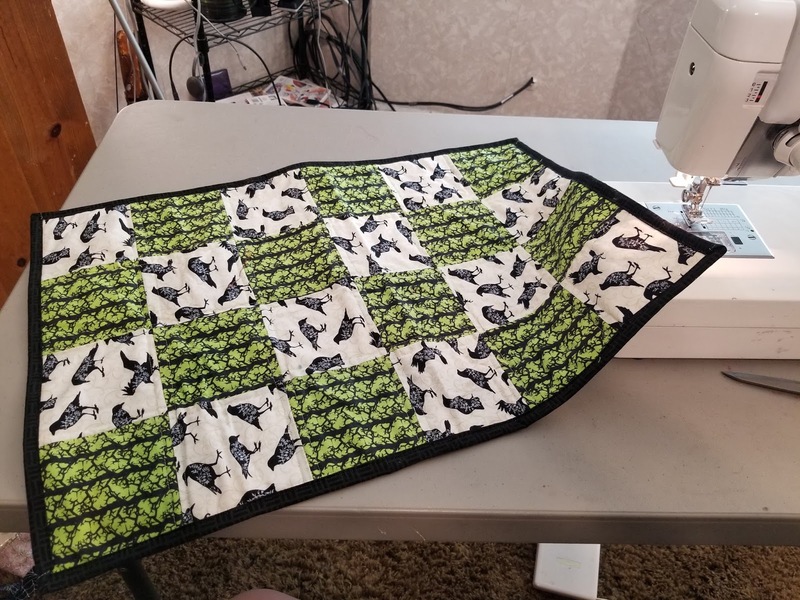 They are just simple squares type of table runners. 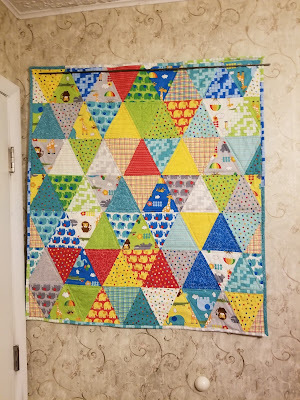 You can download the pattern free from our Craftsy Pattern store. When they are washed they will end up in our Etsy Store. 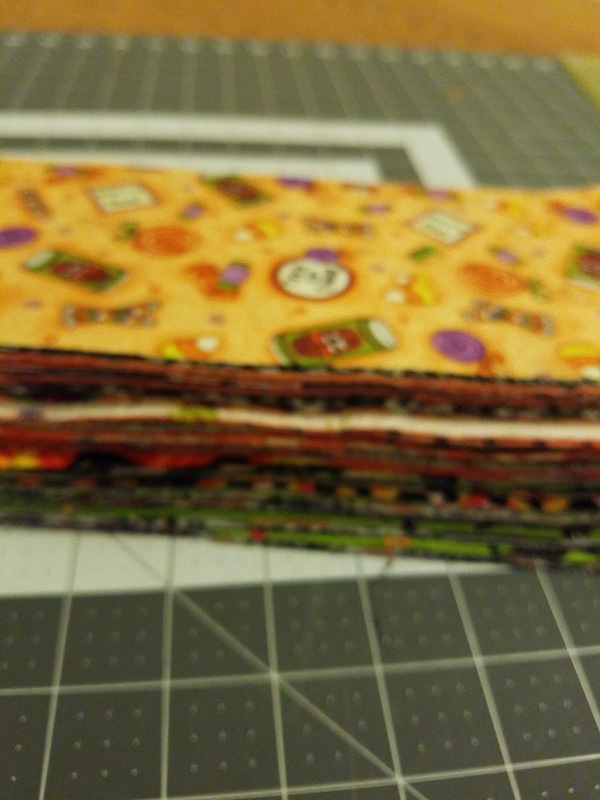 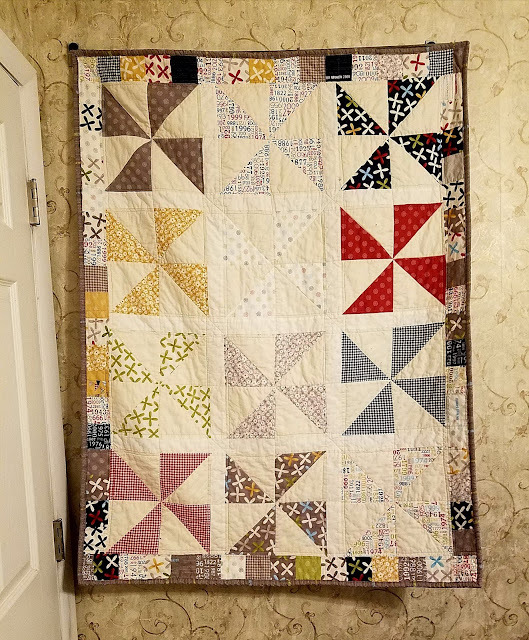 Not that the picture is very clear but I quilted this quilt last week and its now in the binding pile. And to think you thought we were going to talk about quilts.